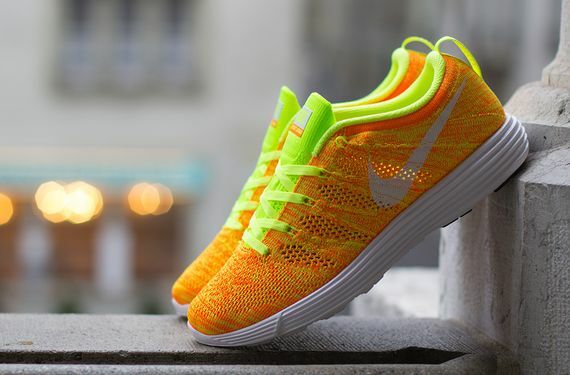 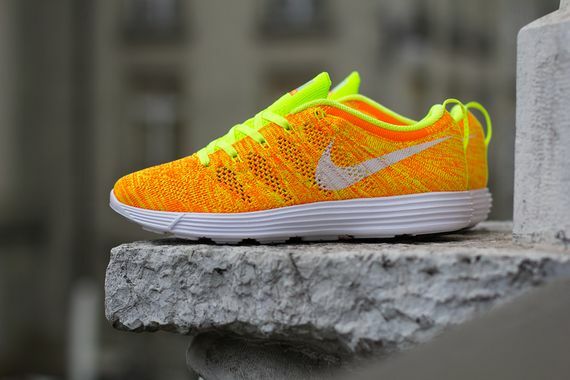 Nike WMNS Lunar Flyknit Trainer "Total Orange & Volt"
With warm weather just around the corner (we hope) it is definitely time to grab a new pair of trainers, and what better to fill that void than a brand new pair of Lunar Flyknit Trainers. 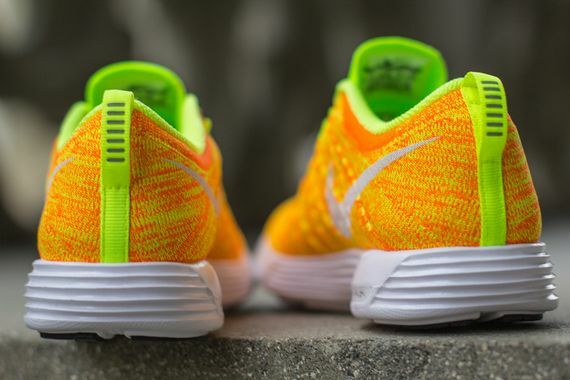 The hold new Total Orange meets Volt colorway is eye catching, and grounded by a subtle yet appropriate white Lunar sole. 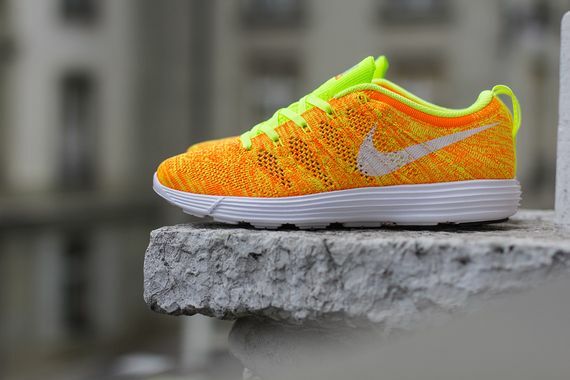 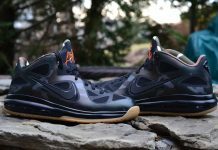 These are up for grabs now in WMNS sizes.